Plus, ProShares rolls out EAFE-dividend and Morningstar-alternatives ETFs. New mutual funds and ETFs are being launched. New products and changes introduced over the last week include two new funds and the rebranding of a third from Goldman Sachs; a risk assist fund from Horizon Investments; and two new ETFs from ProShares. Also, the Phoenix Companies introduced two term life insurance policies and Nikko Asset Management added a specialist portfolio management team in Singapore. Goldman Sachs announced that it has launched the Goldman Sachs Long Short Fund (GSEAX, GSLSX) and the Goldman Sachs MLP and Energy Renaissance Fund (GER) and rebranded the Goldman Sachs Core Plus Fixed Income Fund to the Goldman Sachs Bond Fund (GSFAX, GSNIX). GSEAX pursues investment ideas in global equity markets while seeking to hedge market risk and limit volatility. It invests primarily in the global equity markets, with a focus on securities listed on North American and European exchanges, through the use of long and/or short positions, and may also invest in global fixed income, commodity and currency instruments. GER will invest primarily in master limited partnerships and other energy investments. It currently expects to concentrate investments in the energy sector across the energy value chain, with an emphasis on midstream MLP investments. It seeks a high level of total return with an emphasis on current distributions to shareholders. GSFAX offers investors a globally diversified approach to fixed income, and allows investors to access opportunities outside a traditional core fixed income portfolio while seeking to manage risk. ProShares has announced the launch of the ProShares MSCI EAFE Dividend Growers ETF (EFAD) and the ProShares Morningstar Alternatives Solution ETF (ALTS). EFAD invests in the companies in the MSCI EAFE Index with the best track record of consistent year-over-year dividend growth. It tracks the MSCI EAFE Dividend Masters Index, which holds MSCI EAFE companies that have grown their dividends for at least 10 consecutive years. The index is equally weighted and contains a minimum of 40 stocks. No single sector may represent more than 30% of the index and no single country may represent more than 50%. ALTS is based on the Morningstar Diversified Alternatives Index, which is based on the asset allocation and construction expertise of Morningstar and its subsidiary Ibbotson Associates. The index allocates among a diversified set of ProShares alternative ETFs covering strategies including hedge fund replication, long/short equity, merger arbitrage, managed futures, breakeven inflation, infrastructure and listed private equity. Morningstar dynamically adjusts the base allocation by applying a tactical momentum signal based on price trends over time in each underlying ETF. When added to a traditional stock and bond portfolio, ALTS is designed to enhance risk-adjusted returns. Horizon Investments announced the launch of the Horizon Active Risk Assist Fund (ARANX), which uses a combination of the firm’s tactical allocation approach with a proprietary risk mitigation methodology designed to mitigate the risk of catastrophic loss. The risk mitigation component is engaged when volatility and other market conditions move from what Horizon considers to be “normal” to “abnormal,” and where processes such as asset allocation and diversification are viewed by Horizon as insufficient to protect from unrecoverable loss. In the “abnormal” environments, the Risk Assist methodology moves assets from equities to a protection-oriented basket of defensive securities in an effort to dampen volatility. The Phoenix Companies, Inc. have introduced two term life insurance policies, Phoenix Safe Harbor Term Life and Phoenix Safe Harbor Term Life Express. The latter will be available for call center distribution through LifeQuotes.com. Phoenix Safe Harbor Term Life includes riders that can provide accelerated death benefits in case of chronic illness, critical illness or terminal illness, and a waiver of premium in case of unemployment. An optional accidental death benefit rider is also available for an additional premium. It is available in 10-, 15-, 20- and 30-year term periods to insureds from age 18 to between 50 and 80 at the time of issue, depending on the term length and tobacco use. Term Life Express offers the same benefits but uses simplified issue underwriting, with immediate underwriting decisions available via a teleunderwriting service. Face amounts for Phoenix Safe Harbor Term Life range from $50,000 to $1 million depending on issue age and underwriting band, while Term Life Express offers face amounts ranging from $25,000 to $400,000 depending on issue age. Nikko Asset Management has announced that it is forming a specialist portfolio management team in Singapore. The team, which currently oversees $24 billion of assets for institutional and intermediary clients, will be launching multi-asset products as well as integrated solutions for clients globally. The Tokyo-based asset manager previously had multiasset staff in separate locations; this move will strategically consolidate its resources in order to maximize the firm’s global multiasset capabilities. Al Clark, who was appointed as global head of multi-asset in March, will lead the 18-member team. 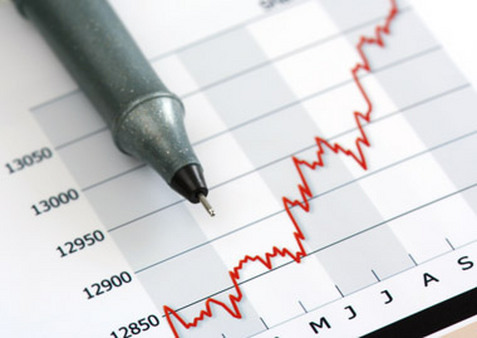 The team has an average of 20 years of experience in the financial industry. Clark himself has over 20 years of experience in trading and portfolio management, and spent the last seven years in Singapore as head of multiasset for Asia Pacific at Schroder Investment Management. Read the Oct. 4 Portfolio Products Roundup at ThinkAdvisor.